Here’s a little sneak peek of the baby shower I decorated this past weekend for Alison Sweeney, which also benefited St. Jude Children’s Hospital! Since Mrs. Sweeney (a.k.a. “Sami” from Days of Our Lives) chose this design from tiny*prints as her baby shower invitation, we went with a modern take on a “Momma Bird/Baby Bird” theme for the party. I can’t post too many details until the story runs on Access Hollywood this Friday and in Life&Style (either later this week or early next) – so here’s a little preview for now, with full details to come later! I love the idea of “momma bird/baby bird”!!! Can’t wait to see it all! how exciting jenn! 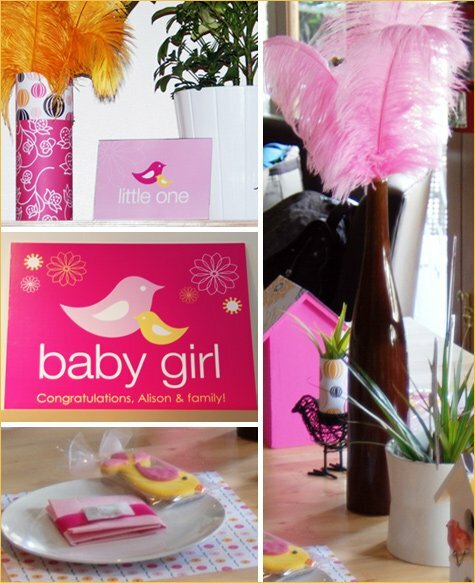 i love the idea of using birdie silhouettes and the feather bouquets. So cute! Love birds was my wedding theme. 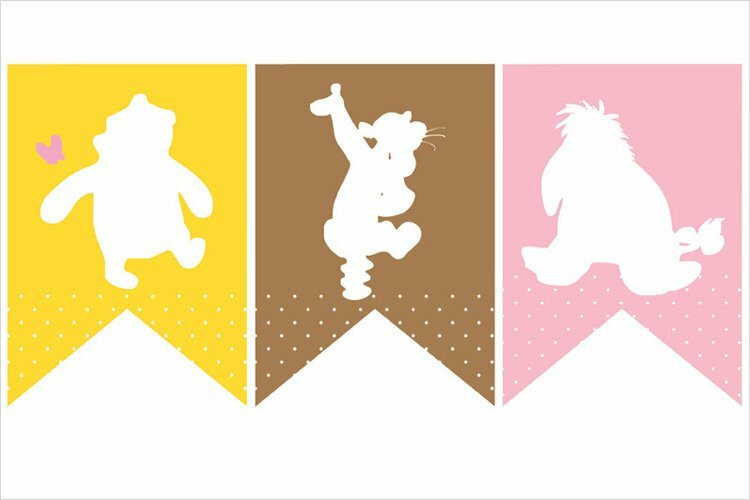 I can totally dig this for a baby shower…someday. very beautiful and inspiring!! Thank you for showing it off! Can’t wait to see more. 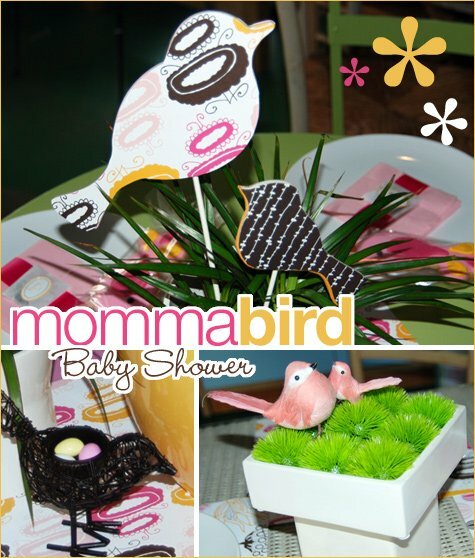 What a fabulous idea … a baby bird/mummy bird theme. 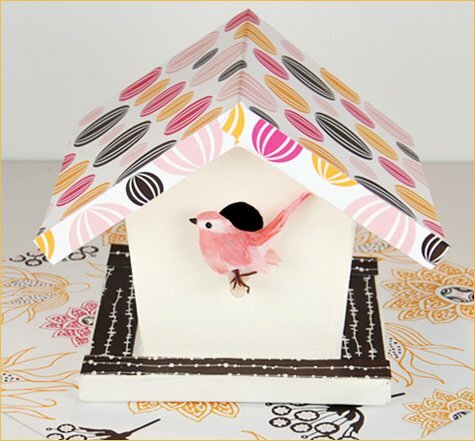 I love that little birdhouse and the decorations are just beautiful. Love the cookies .Looking for that cookie cutter. Where can I buy that darling scrap book paper? !